What was new at Lagoon in September this year? Frightmares! 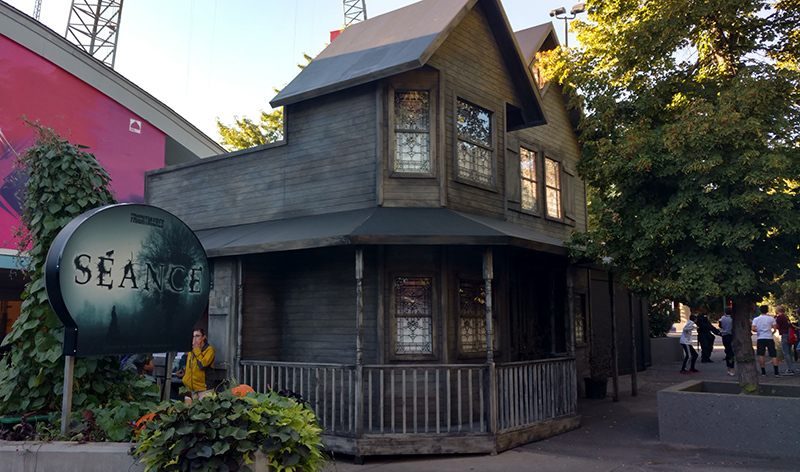 But more specifically, there were some new additions and updates to Frightmares attractions in 2018. Frightmares began on September 14th this year with all the shows and walk-throughs in full swing. Séance returned with an elaborate new entrance, including two tick windows on the south side. The show itself is still the same great show. Hackenslash now has a 360-degree stage built over the top of the Bamberger Fountain. The new show in the Carousel Theatre, Mariner, is based on a poem from 1798. A new kids’ walk-through was added in the south end of Lagoon-A-Beach. 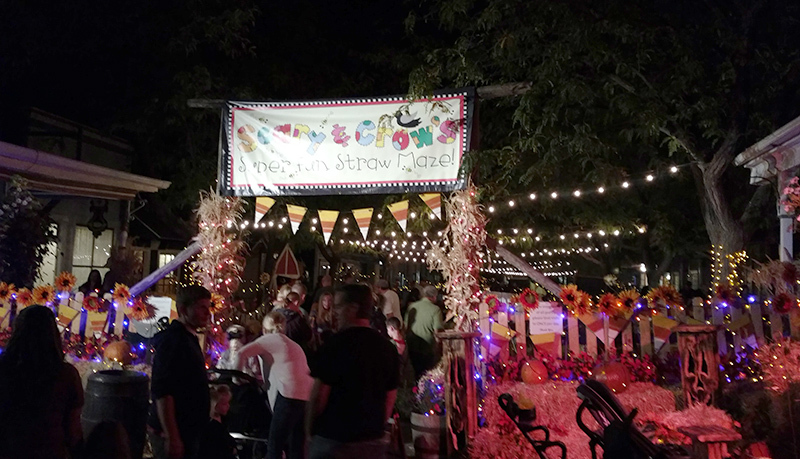 Treat Street is accessed through a gate in Pioneer Village and consists of four booths based on Lagoon rides – Colossus: The Fire Dragon, Flying Aces, OdySea and Samurai. (The sign was added September 28th). A brand new entrance was created for the Fun House Of Fear and Nightmare Midway (formerly Terrors Of The Past) and lots of things were added to other houses, especially Frightening Frisco. Aside from Frightmares, work continues to progress on the demolition stage for the new Biergarten between Roller Coaster and Cliffhanger. 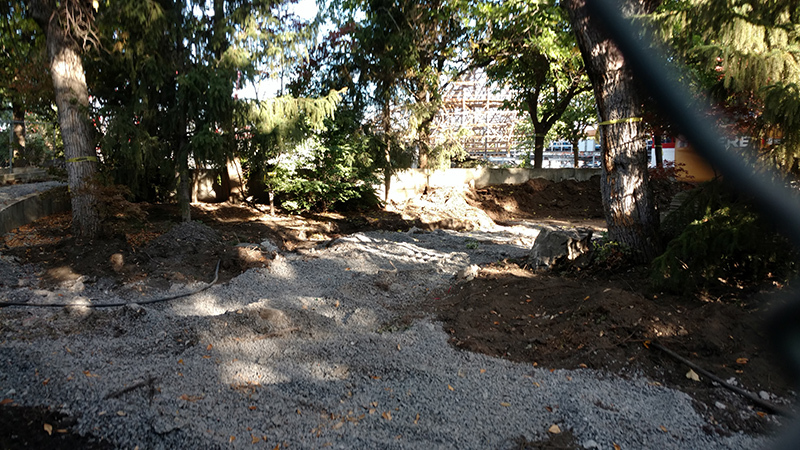 Many trees, all of the concrete walkways, the Speedball game and even the old ramp on the Roller Coaster building were torn out in preparation for construction work.